​ONCE UPON A TIME moment!!" ​Storyteller, Author, Conservationist, and Environmental Educator. FAIRY HOUSE BUILDING GAME IN YOUR POCKET! "Renee takes you on an enchanting journey into realm of imagination. Her fairies lead children away from the sterile electronic world that has robbed so many children of the creative joy of childhood. Children have not changed, if you introduce the world of fairies and dreams to them, they love it just as much as the generations who came before. This book gives us the tools we need to travel back into time when magic could teach us so much about reality." "Renee Raney has written a children’s book that has the textual richness to be enjoyed tremendously by adults. It’s a natural and cultural history of fairies. This book takes that medicinal feel out of environmental education and turns it into a child’s search for enchantment. The sparkle of dragonfly wings and the iridescent chins of hummingbirds, and fairy dust, are the same thing. It invites us to look more closely at the woods in search of magic. It reminds me in certain ways of The Wind in the Willows." "Read Renee’s book and let the child in you find delight in a fairy wonderland! Words fail to express the sheer joy experienced by reading this work. This book helped me re-discover my belief in the fairy kingdom. Her stories touched my heart with pure enchantment. I want every child I know to have a copy. What luscious bed-time reading!" "I had to fight the urge to rush outdoors, ease down on my hands and knees, and search for tiny flowers and fairies. 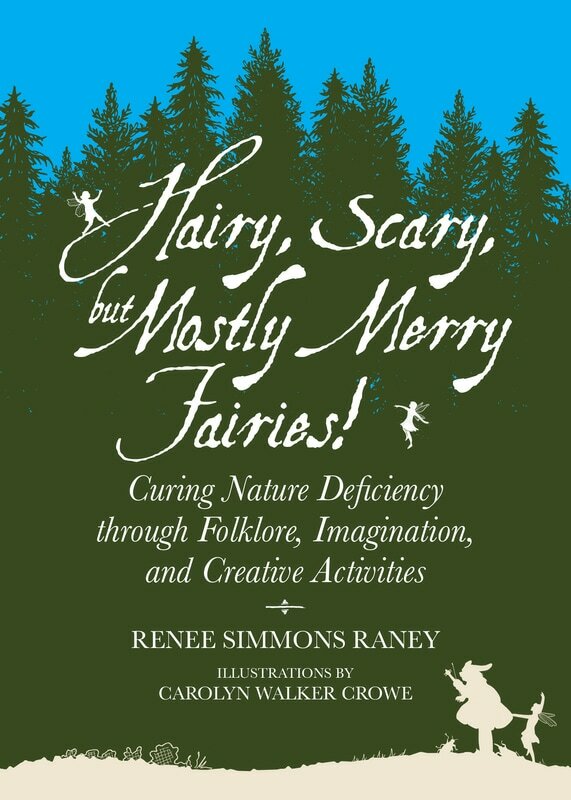 Raney’s imaginative writing creates wonder in the mind; a wonder that she effuses as she shares her autobiographical accounts of seeing and communicating with fairies, first, as a child. Thankfully, her imagination is still engaged because, she shares that she is now an adult fey (a person with the magical ability to know fairies, dryads, and pookas)."